Wage brutal sieges against the leaders of Sauron's army. Although the release of LOTR’s Shadow Of War has been delayed until October of this year, it is still one of the most anticipated LOTR games to be produced since its prequel three years prior. Shadow of War will be a continuation of Shadow of Mordor, taking place between the story of The Hobbit and The Lord Of The Rings Trilogy, but with some new additions and improvements such as new races, a more advanced Nemesis Program, a larger skill tree and more weapons/attack combos. There are also going to be new creatures that can be tamed including the legendary Fire Drake, according to greenmangaming. Although most of these aspects are new to the upcoming action RPG war game, they’re nothing new to the LOTR Universe. Even earlier games such as Battle For Middle Earth II for PC gave the player the opportunity to spawn and battle with these creatures, so it’s surprising to me to hear that they’re only just now implementing these aspects into a more advanced and modern game. There are already several gameplay videos released for the new game featuring Q and A’s and interviews such as this video posted on the Shadow of War’s Youtube channel. The video shows clips of scenery, intense battles and witty anime-esque smack talk between some of the allies you can recruit on your quest to stop the dark lord Sauron. The video also confirms that the Nemesis System is enhanced and will allow the player to forge massive armies and control many different fortresses that will be guarded by the allies made in the game. Shadow of War has built on Shadow of Mordor's Nemesis System, which allows you to take control of enemies and use them as your allies. This power is part of Celebrimbor's abilities, and part of what makes Talion such a formidable foe. Game informer also reports on Shadow of War, stating that “No system seems untouched.” The new game expands on Shadow of Mordor’s melee, movement and the Nemesis System, which is what fans seemed to love most about Shadow of Mordor. Equipment, Dialogue and the story mode quests have also all been revamped and improved, making this seem like a promising sequel to the Shadow of Mordor game, or so we hope. The last game reportedly ended with many fans wanting more. The final scenes just weren’t satisfying for a lot of players. Will Monolith studios be able to change that this time around? Assuming that you’ve seen the LoTR movies, all of the movies, or at least read the books (if not what the heck are you doing playing a game that fills in the gap between The Hobbit and the LOTR trilogy? Go watch the movies! Fly, you fools!) then you, like me agree that Helm’s Deep was one of the most epic battles in the series. Even the battle for Minas Tirith doesn’t compare to the obliteration that took place at Helm’s Deep, and how could we forget watching bodies of orcs fly and fall across the screen? The battle of Helm's Deep, also known as the battle of Hornburg, was the first grand scale battle of the War of the Ring. Saruman marched on King Theoden's kingdom with an army of Uruk-hai and orcs 10,000 strong. The battle was a devastating and brutal affair, but in the end man and elf prevailed with the help of the Rohirrim riders, and beat back the hordes of orcs that threatened to take the fortress. According to Polygon, Helm’s Deep is what Shadow of War feels like. With the majority of the game based on siege battles and fortress take overs, this is an awesome comparison to make and really gets me pumped to play the new game. Of course, such a highly anticipated game is bound to have its skeptics. 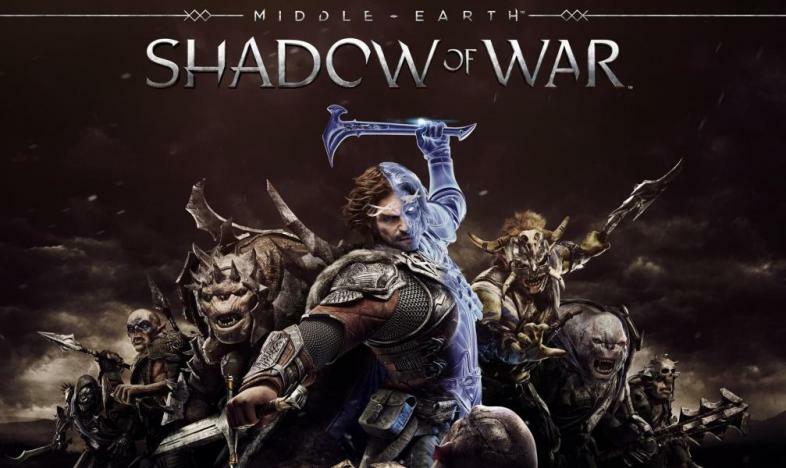 In a Forbes article posted earlier this year relating to Target’s mistake of leaking the cover art of Shadow of War it’s stated that Tolkien’s original intent has been mangled and misused by the entertainment industry. In a later article, Forbes contributes more criticism to aspects of the game such as a new ring of power, crafted by the main character of the game Talion. While I agree that you can’t just invent a new ring of power without taking into consideration the consequences that would have on the LOTR universe -such as a new dark lord rising from the corruption of power and greed - I also think that this makes for an interesting story. The new ring of power, which the Shadow of War revolves around was forged by Talion. Celebrimbor believes the ring could be controlled, unlike the original ring of power worn by Sauron. The end result is one that only the game will tell. In an interview Wired held with Shadow of War producer Kevin Stephens, it’s stated that they do take their inspiration from the written works of Tolkien’s fantasy world, but that doesn’t change that the team behind the game is creating from their own imagination what could have happened in the 60 year time period between The Hobbit and the War of The Ring. Does it go against the initial lore of the rings of power? Yes. Does it change the story of the hobbit & LOTR, maybe. Unfortunately, until the game is released and the ending is made clear, we won’t know just how much an effect this new ring will have on the world of Middle Earth.